A very well kept Terraced House , measuring approximately 157sqms in a very quiet area in Zejtun. Accommodation comprises of a large living area, kitchen/dining and guest toilet. Upstairs one can find 3 bedrooms, main bathroom and a terrace having its own full roof/airspace also enjoying country views. Complementing this property is a street level 2 car garage and an underlying basement which can also be used as a flatlet. Great potential for development. Freehold. 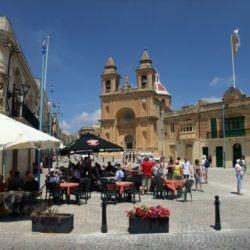 Zejtun is an important city in Malta, giving a significant contribution to the islands’ history, arts and commerce. Disclaimer - Property reference 19810. The information displayed about this property comprises a property advertisement. PropertyMarket.com.mt makes no warranty as to the accuracy or completeness of the advertisement or any linked or associated information. The information is provided and maintained by Excel Homes Real Estate Ltd.